A new year brings with it new changes, and Filipinos can already expect two big ones for popular consumer products, thanks to the Tax Reform for Acceleration and Inclusion or TRAIN law. Though the law was passed back in 2017, there are certain provisions that only took effect at the start of 2019. Let’s start with the less favorable change: Prices of diesel and gasoline will see a surge very soon, thanks to the added fuel excise tax of Php2.24 per liter. That consists of the Php2 per liter increase mandated by TRAIN, plus the 12 percent value added tax (VAT) of 24 centavos. But don’t expect the price increase to happen immediately. Since excise taxes are applied on imports, gasoline firms cannot raise the prices of their current stocks as these still use the old tax rates. It will take several days or even weeks for these companies to empty out any inventory they obtained before end-2018, and only then will they be able to charge higher rates for their fuel. This marks the second of the three incremental fuel excise tax increases implemented by TRAIN. Diesel and gasoline already experienced a Php2.80 and Php2.96 tax increase respectively at the start of 2018, and they will see a further Php1.68 and Php1.12 gain in fuel excise tax by next year. That’s because TRAIN has also mandated that these drugs be VAT-exempt by January 1, 2019, which means that they will no longer have the 12-percent VAT applied to their final prices. This will take effect on all types of medicine that are prescribed for the treatment of the three medical conditions mentioned above. The Department of Health has published a list of all 660 types of medicine that are now exempted from VAT, which you can find here. Signed into law on December 2017, TRAIN implemented several changes to the taxation of various consumer products. 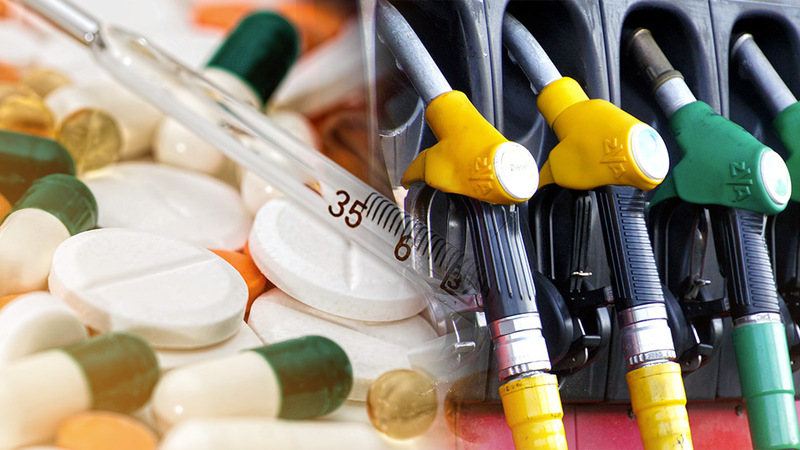 Aside from fuel and medicine, other products that have been impacted by the law include sweetened beverages, tobacco and automotive vehicles.